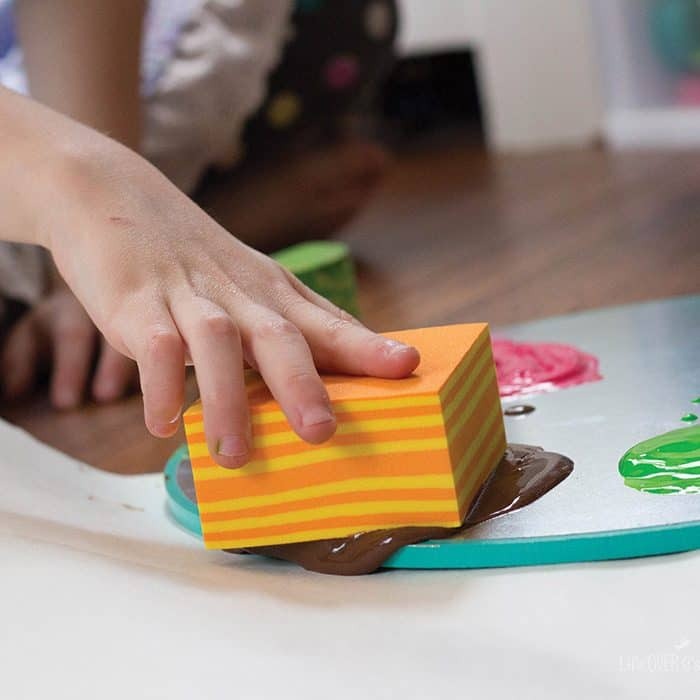 In my efforts to make sure that we are making the best use of the supplies that we have before buying something new, foam blocks have been on my list of things create new uses for. 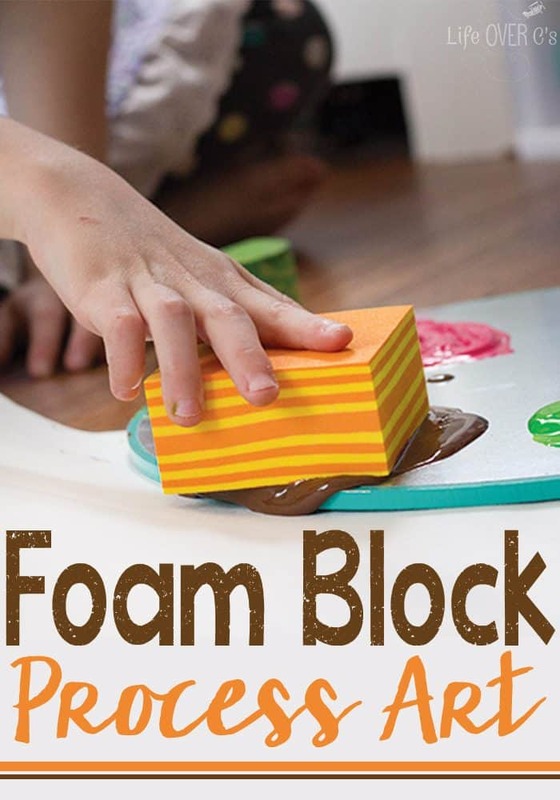 This foam block process art exploration is a great way to breathe some new life into our blocks. 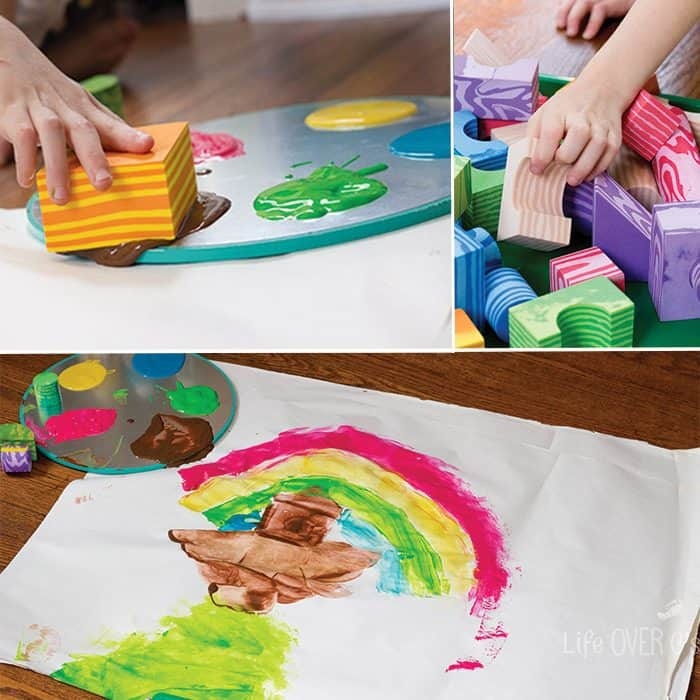 Plus, it’s inspired us to think of some more fun ways to use them! We have a huge amount of packing paper leftover from our move last fall. It often gets used as a way to protect my tables and floors from our many art projects. This time is was our art project. I believe completely that there is a time for directed art and craft projects, but today was time for something more open-ended. After giving my second grader the paints, foam blocks and paper, I completely let her decide what to create. I honestly figured that she would do more of a shape printing activity. Using the various shapes to create a scene. But that wasn’t what she had in mind. She immediately set to work on what she called her “top secret” painting. 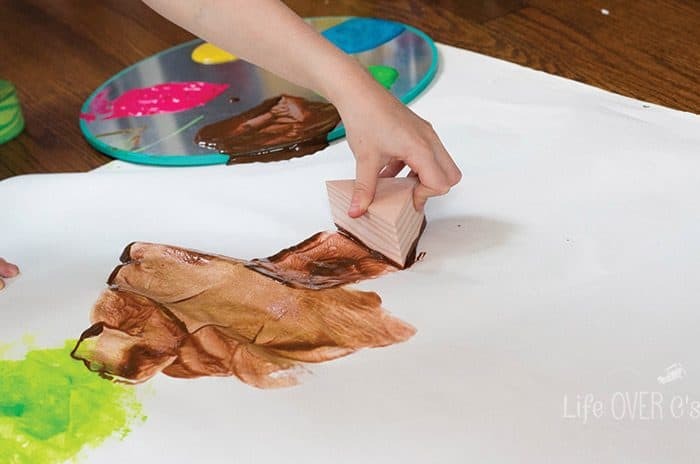 Jaida experimented with dabbing the half circle on the paper in overlapping splotches to create some texture on the paper. Then, she switched to brown and I thought for a moment that she would make an upside down tree. She came up with a very creative way to show the window in the top level of the ark and a little roof. When she started the project, she was desperate to use pink and even mixed together red and white paint to create it, but it didn’t actually fit into her plans. 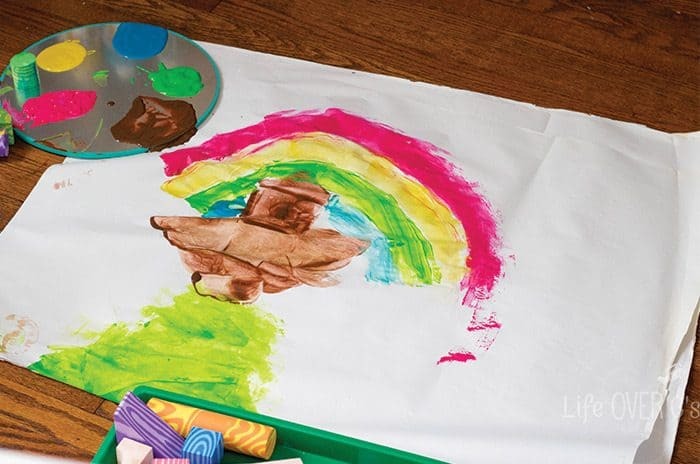 She created a beautiful rainbow to remind us of God’s promise. I love that she created something that related to what she was learning! It was a great way to express her thoughts. I would definitely call this foam block process art exploration a success! 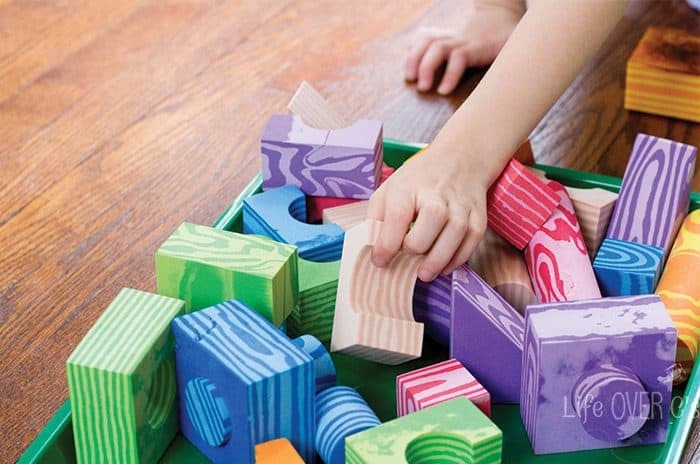 More fun ways to use foam blocks! « Color Recognition Math & Literacy Pack: 15 Activities!